VOX -- For people who are constantly stuck in traffic jams, it seems like there should be an obvious solution - just widen the roads. This makes intuitive sense. 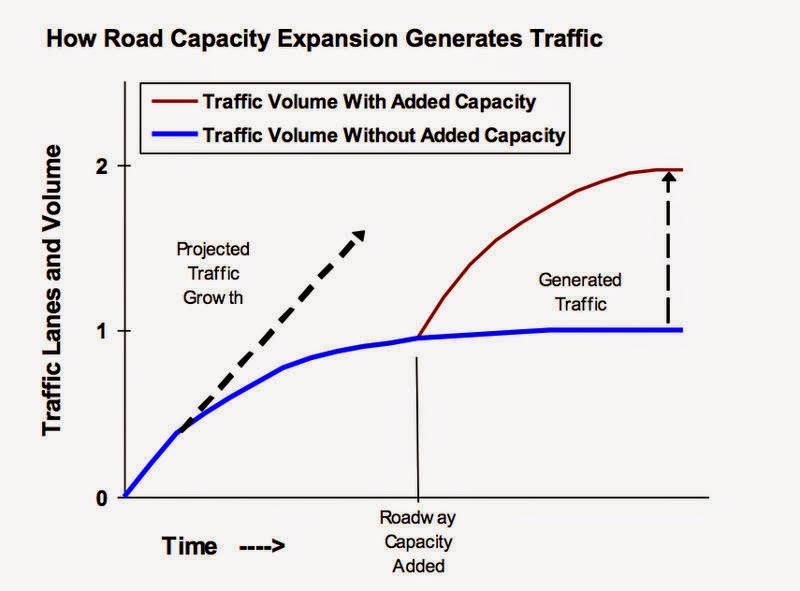 Building new lanes (or new highways entirely) adds capacity to road systems. And traffic, at its root, is a volume problem - there are too many cars trying to use not enough road. But there's a fundamental problem with this idea. Decades of traffic data across the United States shows that adding new road capacity doesn't actually improve congestion. The latest example of this is the widening of Los Angeles' I-405 freeway, which was completed in May after five years of construction and a cost of over $1 billion. "The data shows that traffic is moving slightly slower now on 405 than before the widening," says Matthew Turner, a Brown University economist. The main reason, Turner has found, is simple - adding road capacity spurs people to drive more miles, either by taking more trips by car or taking longer trips than they otherwise would have. He and University of Pennsylvania economist Gilles Duranton call this the "fundamental rule" of road congestion: adding road capacity just increases the total number of miles traveled by all vehicles. Poster's note: Another great article on the subject here in "Wired" Magazine. We will always advocate for DelDOT to accept this reality. Instead of adding lane capacity, direct funding toward maintenance, rehabilitation, and the implementation of Complete Streets within our existing infrastructure. Anything more just induces demand and encourages suburban sprawl. 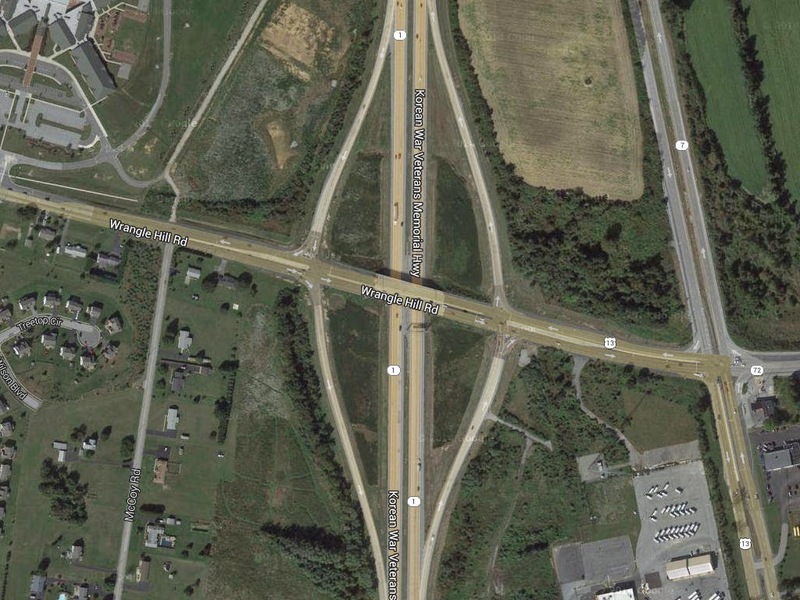 On Wednesday, February 25, 1st State BIKES advocates attended DelDOT's public workshop for a "Diverging Diamond Interchange" on SR 72 (Wrangle Hill Road) where it crosses over Route 1. According to DelDOT, the goal of the workshop was to present improvements that address immediate automobile congestion and safety concerns. There is no question that this innovative interchange design will provide improved traffic flow, congestion relief, and safety - for motorists. 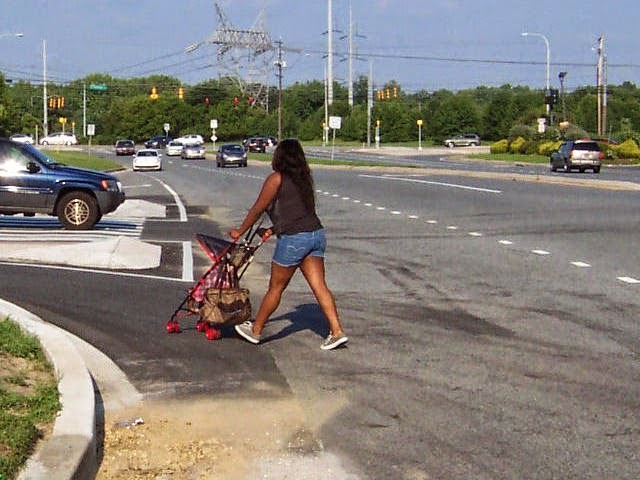 A most notable innovation is the channeling of all non-motorized traffic to a shared use pathway in the center median. How this channeling is achieved was the main focus of our comments. 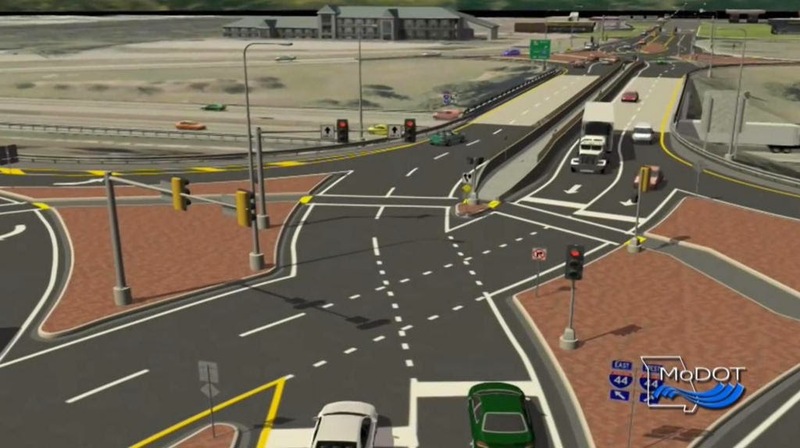 The design shown above and in the video below uses shared use pathways throughout the entire interchange, and that is what they were showcasing at the workshop. That, however, is unacceptable for most intermediate and advanced folks on bikes. Similar pathways that exist now in Delaware relegate bicyclists to pedestrians at intersections, side streets and driveways, with narrowing and acute zigzagging through channelizing islands. It is critical that those lobbying for active transportation at the State level, and those working for us as DOT planners and engineers realize that bicycles are vehicles. They require equal level of service when it comes to ease and continuity in the public right of way. Progress is being made, but getting Complete Streets implemented to its fullest and safest can still be an uphill battle. It was not clear how many other bicyclists showed up at the workshop. When we arrived at 6:30 pm, it appeared that attendance was light. No other bicyclists were there with us at that time. Hopefully our presence and comments were enough to sway the project engineers to consider a design that also involves the use of bike lanes that lead up to the median pathway facility before feeding into it (and then away from it again). The engineers were very receptive and showed a true willingness to include our suggestions, and for that we are grateful. 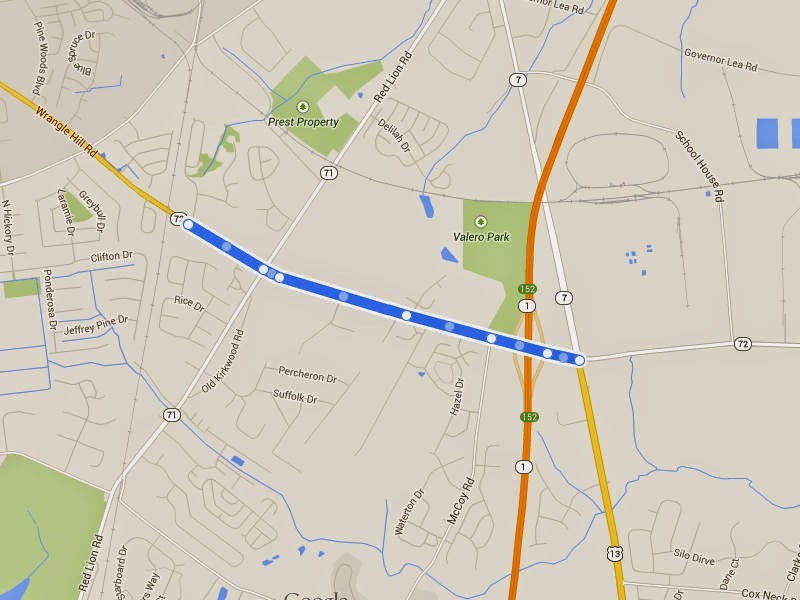 If you would like to comment on this project, email DelDOT Public Relations. You can also CC the project engineer at: nbergeron@rkk.com. Click on table above to enlarge. Kent and Sussex found here. DE / Bicycle and Pedestrian Improvements: These are additional bicycle and pedestrian improvements that can be incorporated into projects listed as "multi-modal" in the TIP. Examples include adding sidewalks or connecting trails and pathways. An example of a "multi-modal" TIP project is shown above, which includes pedestrian improvements on the S. Union Street railroad bridge. A bicyclist was killed a few years ago trying to ride on the existing elevated sidewalk, but improvements appear to be pedestrian-only. 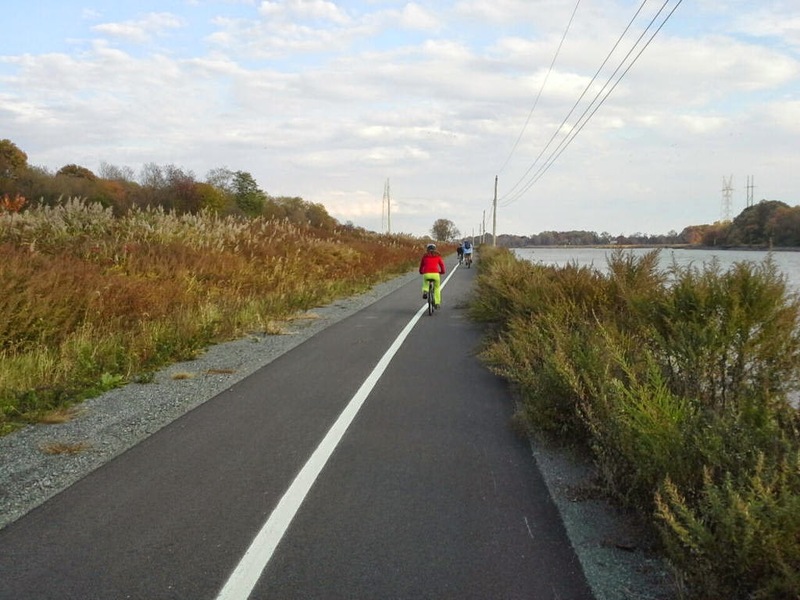 Recreational Trails: These are Federal Highway Administration (FHWA) funds that DelDOT passes on to Delaware State Parks. These can be used for both building and maintaining off-road facilities, including pieces of the Newark-Wilmington Trail that fall within state park boundaries. What percent of the overall budget will be spent on these projects? DelDOT's total allowance for 2014 was $486M, however, this number is expected to fall to under $400M in 2015 if the legislature fails to agree on new sources of revenue. Assuming we stay at or near this amount, however, it comes to roughly 1.5% of the total transportation budget that is dedicated to bike/ped. Is this funding fair and equal in terms of percent dead? Not even close. According to this source, there were 30 pedestrian & bicyclist fatalities in 2014 and 28 in 2013. There were 125 total traffic fatalities in 2014, therefore, people walking and bicycling accounted for 24%. In the 10 year period from 2003 to 2012, pedestrian & bicycle deaths accounted for 18% of the total, so we have seen a sharp increase in the last 2 years. 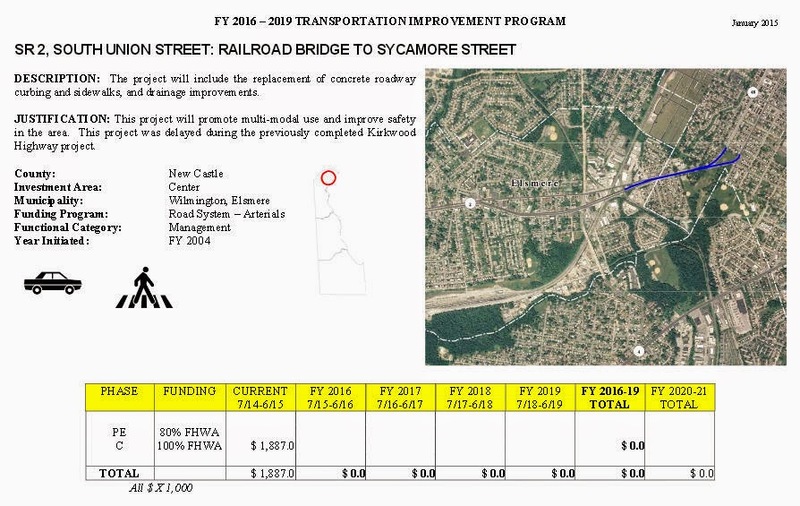 In summary, we acknowledge Bike Delaware's steady strategic funding campaign that helped put aside funds for several bicycle and pedestrian projects. However, as impressive as $30M sounds, it's only a start and will have minimal, if any impact on safety among vulnerable roadway users. And that is why we need a balanced approach to bicycle (and pedestrian) advocacy; one that also includes retrofitting our existing infrastructure, updating and/or amending relevant laws, and stepping up education and enforcement. The roads will always be there in our travels, and must be addressed on equal terms. It's time for Delaware's 3rd HAWK signal. Here's where. Correction: As of 2015, two HAWKs have been installed in Delaware; one in Newark, the other in Dover. 5 years ago, DelDOT installed the first HAWK pedestrian beacon in Delaware. HAWK stands for High-intensity Activated crossWalK. Students and faculty at the University of Delaware's Webb Farm now find it much safer and easier to cross Route 72, which is a typical suburban arterial highway that crosses N-S through Newark. This HAWK was installed as a joint partnership between the Delaware Department of Transportation (DelDOT) and the University of Delaware’s College of Agriculture and Natural Sciences. Unfortunately, the Route 72 location remains only the second State, 5 years running. Clearly, there are other locations that would benefit greatly from a HAWK. One of those is White Clay Creek State Park, where a striped crosswalk is the only facility available for the many park visitors that regularly cross between the Judge Morris Estate and Middle Run Valley. 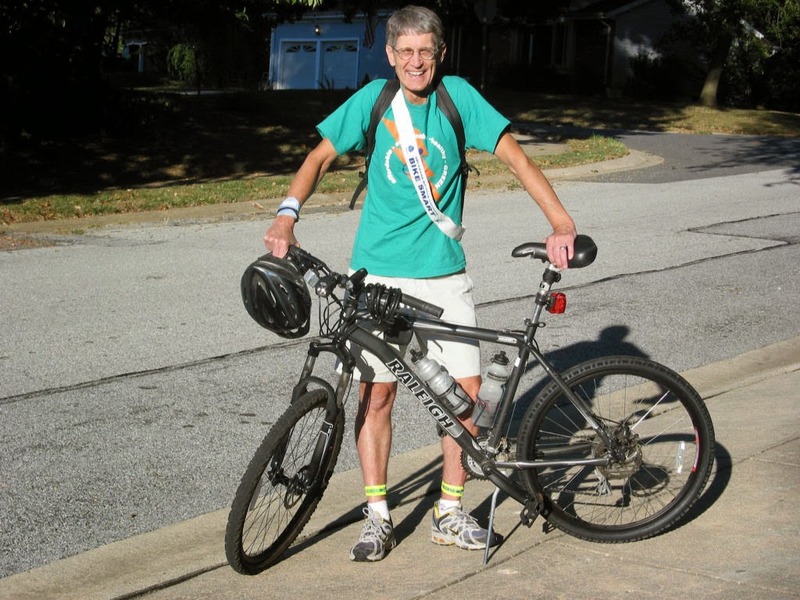 As can be expected, Senator Karen Peterson - a best friend to walkers and bicyclists - has taken up the effort. Karen is putting safety first by asking DelDOT for Delaware's third HAWK signal beacon at this location. Will they use (lack of) funding as an excuse? Bike Delaware has made it clear that $30 million has been set aside in the last few years for trails and pathways. Let's not forget that safely crossing arterial roads is a key component in any off-road facility. Above: To the right is the entrance to White Clay Creek State Park. A striped crosswalk is the only marked infrastructure that connects the Judge Morris Estate to Middle Run Valley Park. Many park visitors make the crossing, which include hikers and mountain bicyclists. The #1 reason for the HAWK is safety. Getting people across safely! If DelDOT needed pedestrian volume to justify a HAWK, they wouldn't have put this one (above) on Route 72 to cross students between farm fields, since most of the day no one uses it. The HAWK is the ideal device for low to medium volume mid-block crosswalks, but high volume might justify the standard yellow-red-green traffic light with button activation. Above is the one on Delaware Ave in Newark at the Pomeroy Trail crossing, which works exceptionally well using "hot response" technology. Check out DelDOT's brochure on the HAWK beacon. From CityLab -- What if you could help make a city’s streets safer simply by the way you talk about them? That may sound fanciful, but some cycling advocates in Seattle - scratch that, some people who ride bikes in Seattle - say that’s exactly what’s been happening there over the past few years. 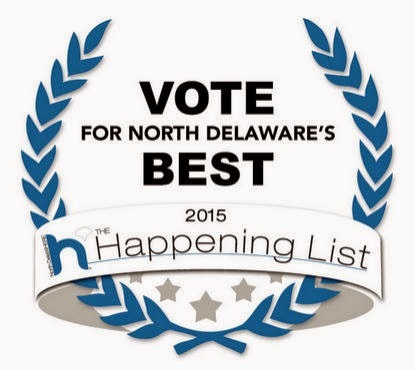 Vote for 1st State BIKES as North Delaware's 2015 Best! How much do you enjoy reading 1st State BIKES? Do we have what it takes for North Delaware's Best? If you think so, VOTE for us! It's as east as selecting us from a list and entering an email address, as seen below! We believe 1st State BIKES could easily win such a contest. Much to our disadvantage, however, blogs are not judged by a committee; it depends more on follower turnout. But imagine the statement we could make as bicyclists if an on-road advocacy blog was to win such a contest. Regardless, cast your vote today! Click the image below for a direct link. 1st State BIKES is proud to announce a new partnership with Gatehouse Media. Publications that include the Dover Post, Smyrna/Clayton Sun-Times, Middletown Transcript, Hockessin Community News, Milford Beacon and the Sussex Countian are now carrying select news items and events cross-posted from our website. 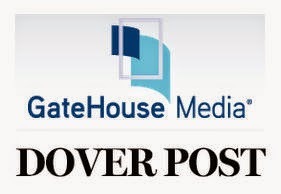 For example, visit the Dover Post on-line to see our blog feed displayed under their Latest Blogs/Community column on the right. 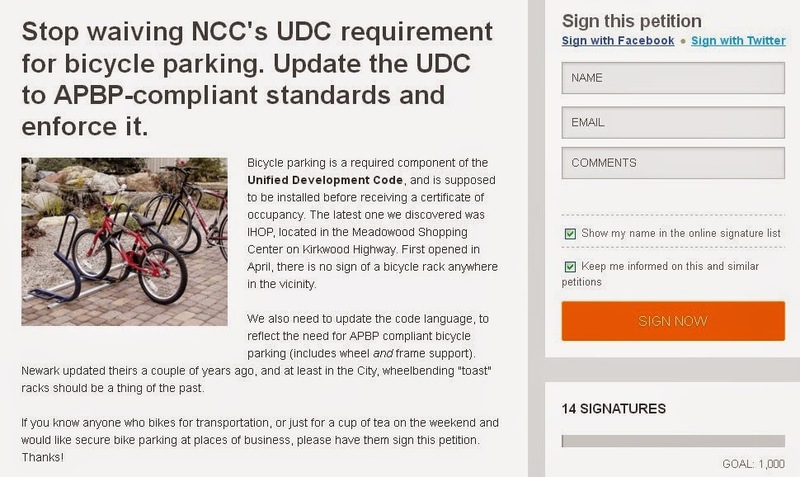 After a month posted on line, and circulating among social media outlets that were expected to show interest, our campaign for New Castle County bicycle parking reform and enforcement is being canceled. The number of signatories jumped to 14 shortly after introduction, and hasn't increased since. To even begin tackling an issue that involves changing a law or policy, this lack of interest can only hurt the effort. Petition 1, we have not been told of any progress. 2 & 3 are moving forward. Support for 3 is also weak, but we are fortunate that DelDOT Traffic is a willing partner with advocates and recognizes the need regardless of the numbers. Stay tuned for more advocacy projects in 2015 that will need your support, and participate with us in spreading the word. 1st State Bikes is an all volunteer committee with no formal membership and no budget to back our efforts. Without the support of the LAB and Bike Delaware for road bicycling advocacy, we can only rely on our followers to step up and make the difference. Donating a few minutes of your time for a zero-commitment, easy to sign petition really isn't asking much. 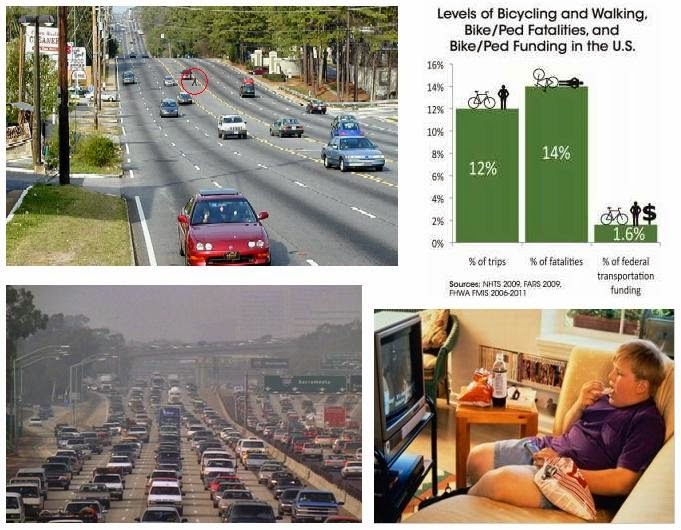 Excerpts ~ A coalition of 50 groups, several funded by the Koch brothers, sent a letter to Congress arguing that the way to fix federal transportation funding is to cut the small portion that goes to walking, biking, and transit [PDF]. The signatories do not want Congress to even think about raising the gas tax, which has been steadily eaten away by inflation since 1993. “This scorched-earth proposal would eliminate the ability of local transportation agencies to invest in their own transportation priorities and lock us all into a 1950’s — style highway- and car-only mentality that flies in the face of common sense — not to mention economics and what the free market and simple demographics have been telling us for years,” wrote Andy Clarke, president of the League of American Bicyclists. 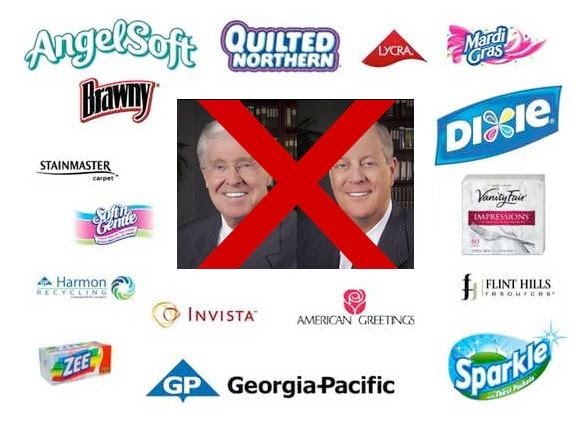 Below are the products we can choose to avoid, if we're to start defunding Koch Industries in whatever small way we can. Very unfortunately for bicyclists, Lycra is one of them. I am not sure what, if any alternative exists for this fabric, which also includes Spandex and Coolmax. Free marketeers can talk about freedom of choice all they like, but if everything is built around dependence on the motorcar, that freedom is an illusion. I may choose to bike with my kids in a not particularly bike-friendly town, but there are a myriad of obstacles put in my way - and those obstacles can be life threatening in many localities. Providing well-designed bike infrastructure ought to be a prerequisite for true freedom of choice when it comes to transportation. From teaching kids that hard work pays off, to enabling people of all ages and socio-economic backgrounds to move about safely and efficiently, besides walking, bicycles are the most self-reliant form of transportation I can imagine. Heck, they are even easily maintained and repaired at home, meaning they encourage new skills and taking responsibility for yourself. Don't like Obamacare? One of the best ways to avoid over-reliance on public (or private) healthcare is simply to keep people healthy. And if you remove the barriers to human-powered transportation, you see more and more people voluntarily incorporating healthy exercise into their daily lives. Coincidentally, as more people bike, the streets get safer too - meaning fewer accidents, and fewer people suffering the consequences of other peoples' bad decisions. If that's not consistent with true libertarianism, I don't know what is. You can also sign this on-line pledge not to buy (or try not to buy) Koch Brothers products, brought to you by Daily Kos. The Koch Brother's vision for America. Is it yours?